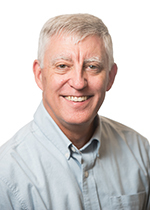 Dr. Melton is the director of the Pacific Northwest Smart Grid Demonstration project, the administrator of the GridWise® Architecture Council, and a senior technical leader for smart grid research and development projects. He has over 30 years of experience applying computer technology to a variety of engineering and scientific problems. In addition to smart grid related projects, recent experience includes research and engineering in cyber security for critical infrastructure protection and process control system security. Dr. Melton is a Senior Member of the Institute of Electrical and Electronics Engineers and a Senior Member of the Association for Computing Machinery. Agalgaonkar Y.P., M.C. Marinovici, S.V. Vadari, K.P. Schneider, and R.B. Melton. 2016. ADMS State of the Industry and Gap Analysis. PNNL-26361. Richland, WA: Pacific Northwest National Laboratory. Melton R.B., A. Somani, and S.A. Kowalski. 2014. Transactive Energy Framework Workshop Proceedings, September 10-11, 2014 Folsom, CA. Richland, Washington:GridWise Architecture Council / Pacific Northwest National Laboratory. PNNL-SA-107083. Melton R.B., M. Knight, A. Somani, and A.C. Steckley. 2014. Transactive Energy Framework 4th Transactive Energy Workshop Proceedings, December 10-11, 2013, Westminster, California. Washington Dc:U.S. Department of Energy. PNNL-SA-102099. Melton R.B. 2013. "Creating a Transactive Energy Framework: Improving Reliability and Efficiency." Energybiz. PNNL-SA-98354. Melton R.B. 2013. GridWise Transactive Energy Framework (DRAFT Version). Richland, Washington:GridWise Architecture Council. PNNL-SA-22946. Melton R.B., A.C. Steckley, and A. Somani. 2013. First International Transactive Energy Conference and Workshop Proceedings 2013: Implementing the Future of the Electrical System, May 23-24, 2013, Portland, Oregon. Richland, Washington:GridWise Architecture Council / Pacific Northwest National Laboratory. PNNL-SA-96361. Melton R.B. 2012. GridWise� Architecture Council The Impact of Local Policy on Smart Grids Workshop Proceedings August 28-29, 2012 Seattle, Washington. Richland, Washington:GridWise Architecture Council. PNNL-SA-92160. Melton R.B., and T.D. Halter. 2012. Grid-Interop 2011 Proceedings: Implementing Interoperability, Advancing Smart Grid Standards, Architecture and Community, December 5-8, 2011, Phoenix, AZ. Richalnd, Washington:GridWise Architecture Council. PNNL-SA-89350. Melton R.B., and T.D. Halter. 2012. Transactive Energy Workshop Proceedings 2012. Richland, Washington:GridWise Architecture Council / Pacific Northwest National Laboratory. PNNL-SA-90082. Melton R.B., and T.D. Halter. 2011. Transactive Energy Workshop Proceedings, May 18-19, 2011, Redwood City, California. Richland, Washington:GridWise Architecture Council / Pacific Northwest National Laboratory. PNNL-SA-86105. Hammerstrom D.J., T.V. Oliver, R.B. Melton, and R. Ambrosio. 2010. "Standardization of a Hierarchical Transactive Control System." In Grid Interop 2009 Conference, November 17-19, 2009, Denver, CO. Richland, Washington:GridWise Architecture Council. PNNL-SA-71178. Melton R.B., and D.J. Hammerstrom. 2010. "Getting Grid Smart in the United States' Pacific Northwest." Metering International 3, no. online. PNWD-SA-9026. Melton R.B., and N.V. Brock. 2010. Grid-Interop 2009 Proceedings: The Road to an Interoperable Grid, November 17-10, 2009, Denver, CO. Richland, Washington:Gridwise Architecture Council. PNNL-SA-71021. Kuykendall H.I., and R.B. Melton. 2009. Grid-Interop: Ensuring Smart Grid Interoperability Proceedings. Richland, Washington:Gridwise Architecture Council. PNNL-SA-65178. Izmaylov A., J. Valente, J.R. Griggs, P. Rexroth, A. Piskarev, V. Babkin, and E. Sokolov, et al. 2005. "METHODOLOGY FOR EVALUATION OF REGULATORY EFFECTIVENESS IN PHYSICAL PROTECTION." In Proceedings of the INMM 46th Annual Meeting, July 10-14, 2005, Phoenix, Arizona. Deerfield, Illinois:Institute of Nuclear Materials Management. PNNL-SA-45601. Kouzes R.T., J.R. Cash, D.M. Devaney, B.D. Geelhood, R.R. Hansen, R.B. Melton, and W.K. Pitts. 2002. "Authentication Assurance Levels." In Proceedings of the 43rd Institute of Nuclear Materials Management Annual Meeting, Orlando, Florida, June 23-27, 2002, 10 pages. Northbrook, Illinois:Institute on Nuclear Materials Management. PNNL-SA-36160. Devaney M.M., R.R. Hansen, R.T. Kouzes, and R.B. Melton. 2001. A Review of the IAEA Vulnerability Assessment Level Scheme: Applicabiliy to DTRA and DOE Programs in the FSU. PNNL-13743. Richland, WA: Pacific Northwest National Laboratory.